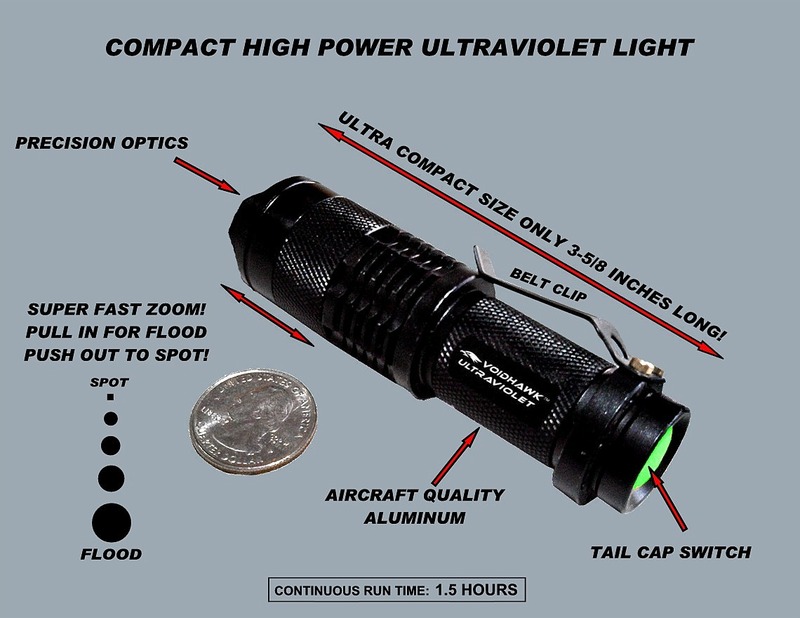 Micro-Ultraviolet CREE® LED UV Flashlight, Zoom Focus, Black Aluminum Body, Weather Proof, Rechargeable Flashlight, 400nm UV flashlight. 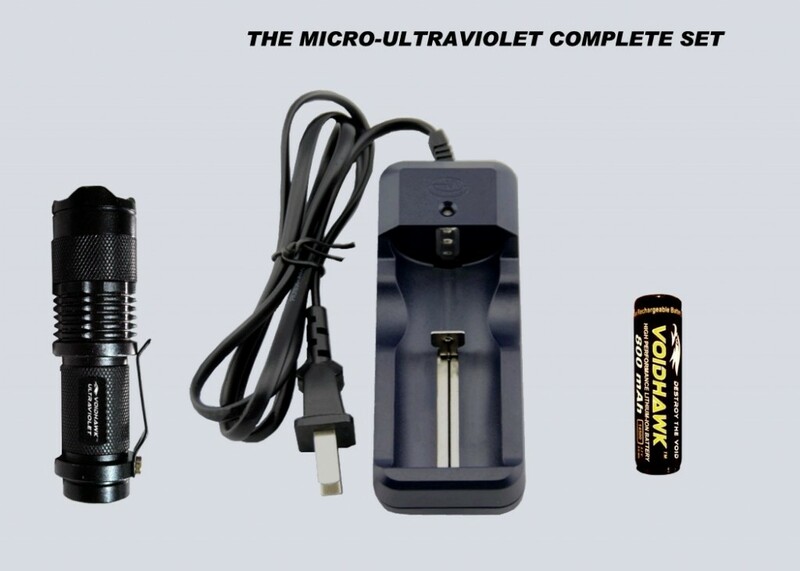 Security: Ultraviolet light can be used to be used to verify currency and many legal documents such as passports. You can also use UV ink to mark items or even people at a venue with your own code or mark that is not visible under normal light. Pest control: Professionals in the pest control fields already know that UV light will fluoresce rodent waste. Now with the MICRO-ULTRAVIOLET they will have a high intensity UV light source that can not only flood a wide area, but can focus down to an intense spot beam and track rodent activity from a distance! House keeping: Do you want to know if that hotel room or your own home is really clean? Ultraviolet light can reveal unseen contaminants that can carry disease and germs that are not visible under normal lighting. Gemology and rock hunting: Many minerals such as Calcite will glow unusual colors when exposed to Ultraviolet light. Professional Jewelers have used Ultraviolet light for years to detect repairs and treatments applied to gems. FULL POWER IN A DEDICATED ULTRAVIOLET WAVELENGTH!